All good things… can get better. Twizoo has been acquired by Skycanner! You can read the press release here. We wanted to send a quick and sincere thank you to everyone who has supported us along the journey, it has been a crazy ride. John and I started Twizoo, wayyyy back in 2013, as just an idea to source user reviews from Twitter. With over 7 Tweets about a restaurant for every 1 Yelp review, we were on a mission to bring authentic and real-time reviews from Twitter to help you find a place to eat through our Twizoo app. We expanded and grew the Twizoo app in 13 cities, and gathered incredible feedback from the community on the type of user-generated content from social media that you find inspiring and useful. Fast forward to this year, where we doubled down our focus on our machine-learning engine, and launched a widget where travel and hospitality websites could instantly bring those social media reviews to their own audiences. Surpassing well over 500,000 daily unique impressions of our widget, Twizoo has helped millions of people decide where to eat or stay based on the rich content and tips that everyday people like you share on social media. 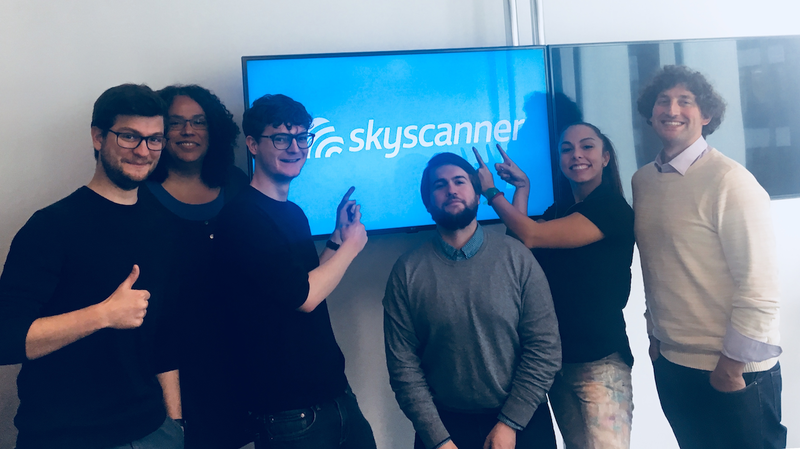 With Skyscanner, we are excited about this next phase of the journey for the team and technology. We will continue our mission of bringing the very best user-generated content from social to the world. Look out for us and stay tuned. Your source of non-stop user-generated content from social media. Bring your pages to life with relevant, engaging Tweets and Instagrams instantly.